RutanRC White Knight & SpaceShipOne Models Look Incredibly Fun | Nerd Much? If you’re like us, you’re following this big boom in RC aircraft models which is mostly being fueled by the rise of RC drones over the past couple of years. Sure, the newly announced DJI Phantom 3 looks pretty badass, but it is nothing compared to what RutanRC has planned: building RC models of Burt Rutan’s White Knight and SpaceShipOne (and more of his models in the future). 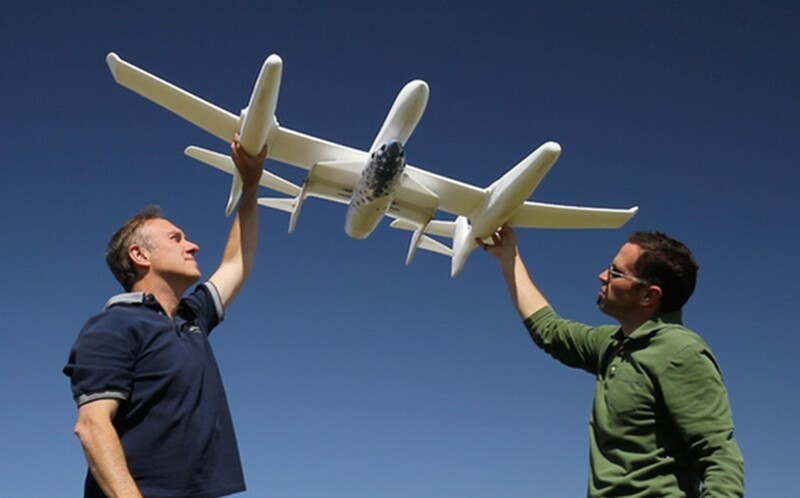 RutanRC has already successfully built these two RC models and are looking for Kickstarter backers to help get the SpaceShipOne (SS1) and White Knight (WK) into mass production, with the first shipments projected to go out in October. The SS1 will use a Brushless High kv motor greater than 3000kv and will have two miniature servos with 11 oz-in of torque. Like the real SpaceShipOne, the RutanRC model will have removable landing gear. RutanRC promises that SS1 will satisfy experienced RC pilots and challenge beginners, and notes that the WK is much easier to fly. The interesting part about RutanRC is that they’re basically creating an entirely new RC market, since the SS1 and WK aren’t airplanes or drones, so they don’t fit under those categories. Should we call these RC Spacecraft? You can pledge $40 right now on Kickstarter to get a White Knight Flyer, or $169 to pick up both the WK and the SS1. RutanRC is estimating that the MSRP of the combo will be $299 following the Kickstarter campaign. Words honestly don’t do these two RC models justice, so be sure to check out the video below. Want to see more cool gadgets? We’ve got you covered here at Nerd Much?.